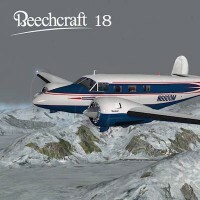 Shade Tree Micro Aviation is pleased to inform you that they have completely remodelled the Beechcraft 18. Actually, when their friend, Heinz Dziurowitz’, untimely passing, STMA acquired the rights to his Beechcraft 18 model. We pulled it into our STMA Maintenance Hangar, totally rebuilt it and are now ready to release our new Beech D18S model in Heinz’ honor. 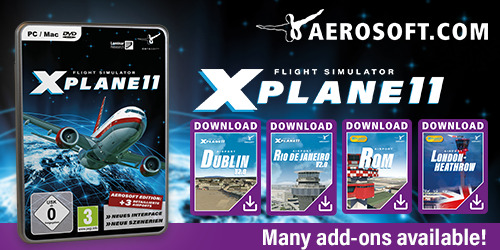 Keep in mind that this model will not work with X-Plane versions earlier than 10.36. – Merged the three models (wheels, floats, and Volpar (tri-gear) into one. – Rebuilt fuselages, empennage, ailerons, flaps, landing gear etc. – Completely rebuilt the forward cockpit and instrument panel to emulate the D18S. – Autopilot revamped. Altitude preselect arming function added. – Amphibious floats reworked to more accurately reflect a very popular set of floats. – STMA’s unique Dock, which provides control over many functions from within the cockpit or while in chase view added. – STMA’s HangarOps plugins and functions added. – Added realistic removable wheel chocks, tiedown ropes, inlet covers, pitot heat cover, etc. Want to know all about it? Check it out at the dedicated STMA web page.